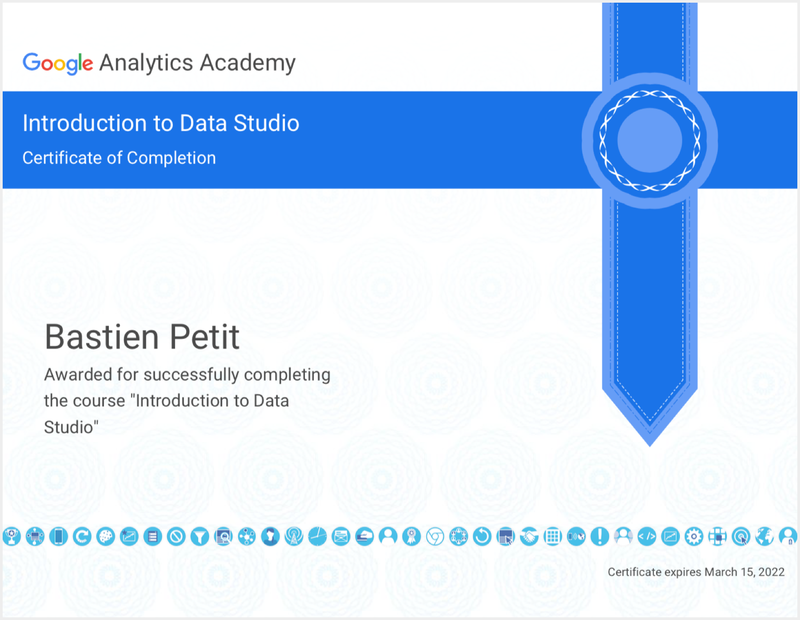 Google recently published this new Introduction to Data Studio course. 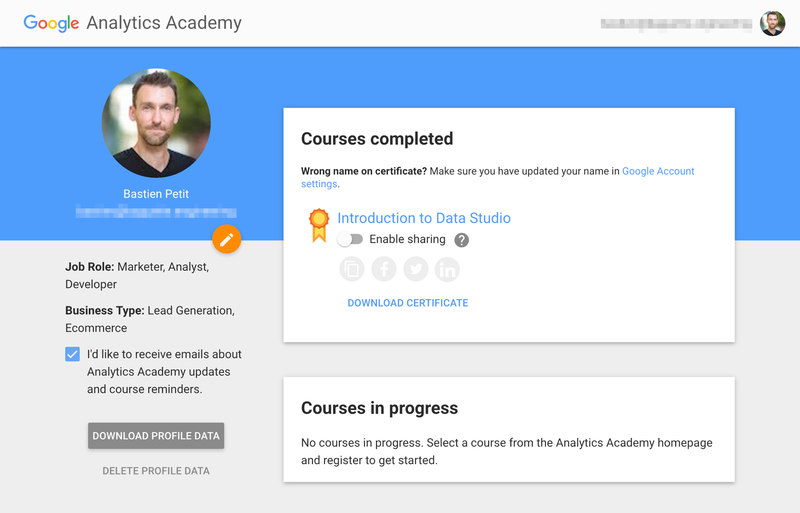 It's part of their Analytics Academy free online courses. It's an excellent resource to get started with Data Studio. You can earn a certificate of completion by passing the tests. This introduction to Data Studio is for marketers, business owners, agencies, and data analysts. It teaches how to visualize and gain insights from data. It's a course for beginners, there are no prerequisites to taking it. The course has 4 parts, with one assessment at the end of each part. 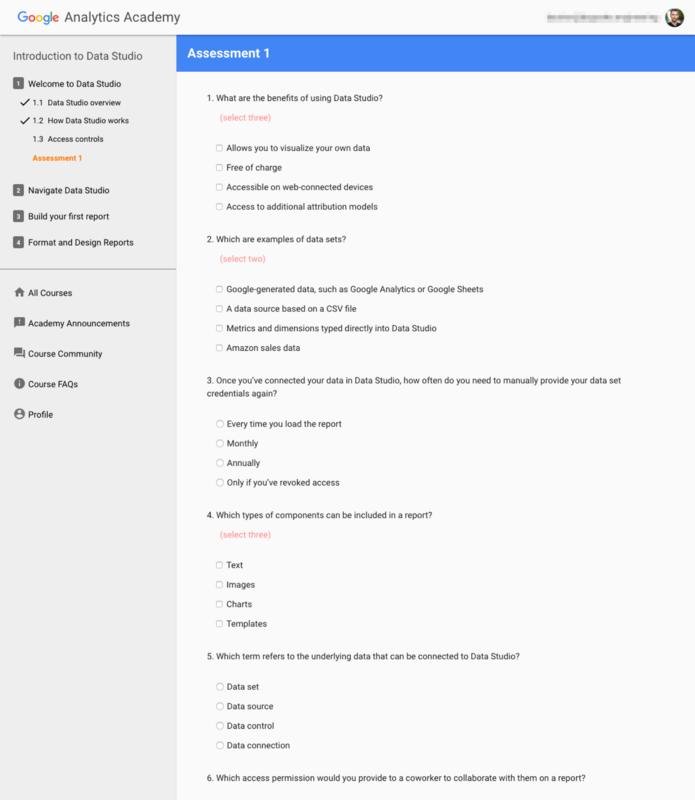 They consist of a list of questions to answer successfully. You need to complete the 4 assessments with a score of 80% or better to earn the certificate. The first assessment of your knowledge on Data Studio. If you already use Data Studio, most questions will feel obvious. The rules to earning your certificate of completion. If your profile is connected to your company's Google Partners account, it should appear there too. Here are the first 3 videos from "Unit 1: Welcome to Data Studio". After this first unit, the course becomes more interactive and stops relying on videos. Ready to get started? The course is waiting for you here.